By: Erik Hyrkas on March 27, 2018. 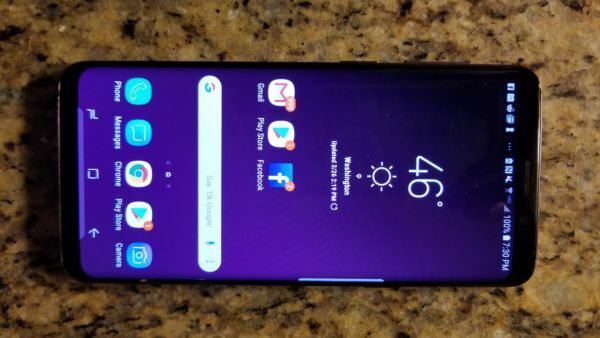 The Samsung Galaxy brand has hit the pinnacle design of a near bezel-less flagship smartphone. And, no, I don’t mean in 2018, I refer to last year with the arrival of the S8. When Samsung regrouped after the shocking “battery-gate” with the Note 7, Samsung had to fire a perfect shot with the S8, and it mostly delivered. So what’s in store for Samsung’s latest handset? What is new or worthy to call an upgrade in hardware, design, and smartphone innovation? Read on below and find out in our full review. Spoiler alert, the Samsung Galaxy S9 is almost indistinguishable from the Samsung Galaxy S8, and this may deter you from considering a purchase. The bezels, the body, aluminum, glass, and the curved edges are nearly identical, save for some slight measurement differences. Nevertheless, the device’s dimensions are so similar, it will actually fit in many S8 cases. (Note: That doesn’t mean your buttons will match up, as they’ve been moved several millimeters higher.) Some might see this sameness as a bonus, others will find it lacking innovation. The 5.8” screen and 1440 x 2960 resolution have not changed, although the S9 offers two less pixels per square inch. The Bixby, power, and volume buttons remain in the same general locations. The main design changes to the S9 are the addition of stereo speakers (one channel coming from the earphone/earpiece) and moving the S8’s cumbersome fingerprint reader below the rear camera, instead of to the right. It’s a few millimeters that make all the difference. The heart rate monitor/optical sensor has moved to the right of the camera, which can also, experimentally, measure blood pressure using an app called BP Lab. 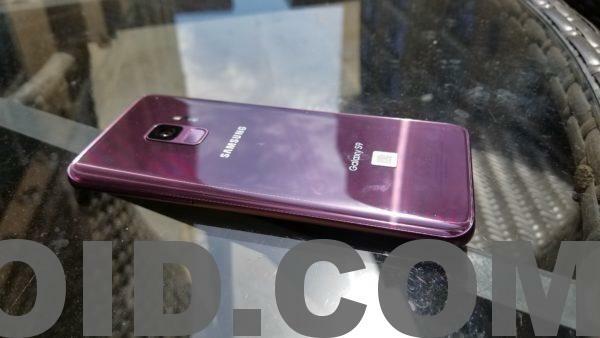 The feature isn’t being advertised by Samsung, but it is making the rounds in the blogosphere. There is one larger change to the S9, but it’s not technically an external design feature. 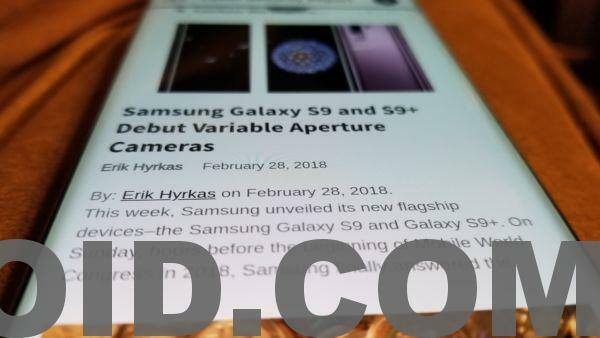 Samsung has unveiled the first variable aperture rear camera on a smartphone, allowing it to take photographs in F1.5 and F2.4 for sharper and noise-free photos in nearly any lighting. You can read more on that below. The S9 still has its 5.8” Super AMOLED with 1440 x 2960 resolution and a slightly lesser 568 ppi compared to the S8’s 570 ppi. 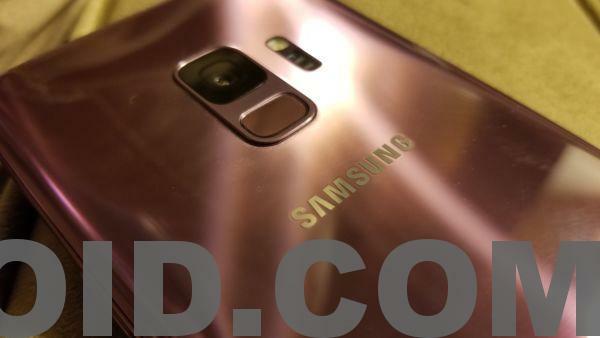 Its dimensions are slightly shorter and wider than the S8 at 5.81” x 2.70” x 0.33”. Gorilla Glass 5 is on the front and back. Inside, there’s a Qualcomm Snapdragon 845, Adreno 630, and 4GB of RAM. The S9 comes with 64GB of internal storage and has a microSD slot capable of supporting up to 400GB of external storage, which is an era-telling change compared to the already-impressive 256GB supported by the S8. The S9’s battery is still 3,000 mAh and USB-C, wireless QI fast charging, iris-scanning, a fingerprint reader, heart rate monitor, and Bluetooth 5.0 remain. The rear camera is 12-megapixels with the addition of variable aperture, and the front-facing remains at 8-megapixels. As for the operating system, Android 8.0 Oreo is installed. When I opened the S9’s box, I wondered if we’d received the right phone. Obviously we had, because this new one was a daringly vibrant “Lilac Purple” color, yet the dimensions were so subtly changed I couldn’t tell the difference. That’s a bonus for anyone who loved the S8. Also, despite that initial feel, the S9 is somewhat easier to grasp. It’s slightly wider and shorter, and that’s a desirable change. Although I love the S8, I do have an issue with its height. Reaching around the screen with a thumb can be a pain, especially when you consider all of the Galaxy phones before it were 5.1”. The market has shifted to larger devices and even smaller bezels, and I believe many of us are still adjusting. The main differences felt are that the buttons are slightly higher and the phone is heavier–5.75 oz versus 5.35 oz. These changes are so negligible many won’t notice. Nevertheless, for some the S9 will feel just a tad bit easier to grasp and use in one hand. Another standout change is the addition of stereo speakers, which are very loud and crisp. 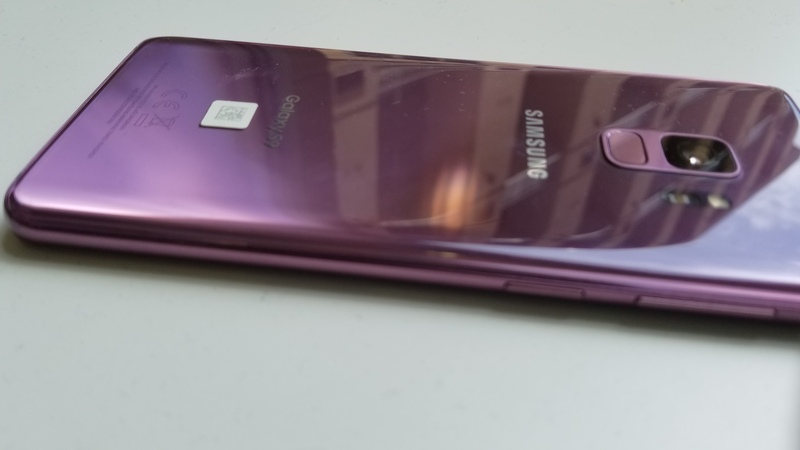 It’s a smartphone, so bass is always going to suffer, but Samsung continues to have some of the best phone speakers around that don’t sound tinny or lacking in volume. The mids and highs are great. If you want the rest, you can always use the headphone jack, which has never left Samsung’s side. Another hardware change includes the fingerprint reader’s new ease of reach. Samsung really failed with the S8’s fingerprint reader being located in a nearly unreachable spot on its 2017 “tall-phone.” I never even tried to make a habit of using it, because it was so uncomfortable and difficult to locate blindly (to the right of the rear camera). Enter the S9, and now I can see myself actually using the fingerprint reader on a daily basis, as it sits below the camera, directly in the center. Then there’s the software updates. Samsung has improved its biometric security functions, by pairing facial recognition with iris scanning. This theoretically makes unlocking your device even more secure, but it also simply feels faster than I’ve ever experienced. It’s somewhat less convenient than using an index finger on the back, but it’s also more sensible if you’re going to look at your phone in the first place (not while driving…). Side note: I know some are reasonably skeptical about using such biometrics on personal devices. My take? With Facebook lending out all our data to developers, Big Brother probably will get our hands on this information anyway, so at least I don’t have to type a number or pattern to unlock my device. As for texting, gaming, YouTube, and general Internet use, I honestly can’t say the S9 feels any better than the S8. Sure, it might be milliseconds snappier than my year-old Galaxy, but even Android 8.0 is available on the S8. And Samsung’s own dated software features may not sway anyone. The age-old sidebar function that allows you to swipe from the right–“Apps Edge” and “People Edge”–are still gimmicky shortcut tools most people won’t be using. 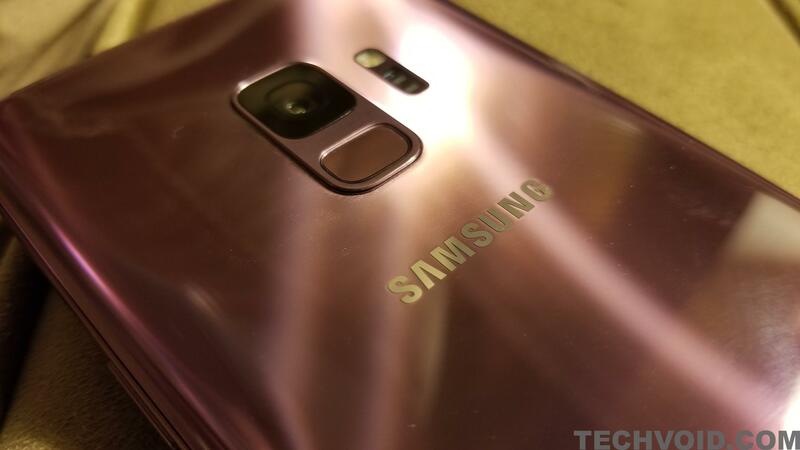 So what would you buy an Galaxy S9 for? Clearly, it’s all about the new camera. In 2016, the Samsung Galaxy stole a lot of hearts with the Samsung Galaxy S7 Edge’s camera, one that could actually rival an iPhone. 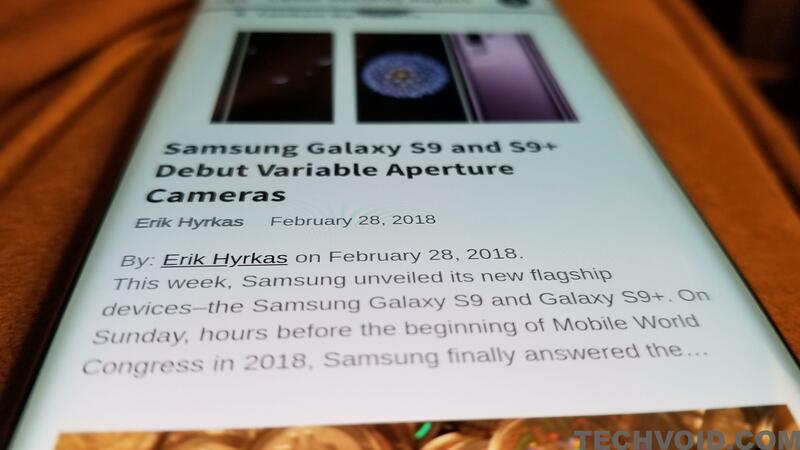 That tradition definitely rings true for Samsung’s new addition of a variable aperture 12-megapixel camera on the S9. The ability to take shots using different apertures amplifies a smartphone camera to a place that can rival even the best point-and-shoot cameras. The camera’s aperture blades mechanically change between F1.5 and 2.4, letting more or less light in depending on the situation. Sure, the sensor is still smartphone-sized. But with different aperture settings, the camera’s ability to capture great photographs in low light with minimal noise and impeccable sharpness on a bright day is incredible. This setting can be altered in Pro Mode manually for taking more “professional” shots. However, if you’re planning to simply shoot on auto, Samsung’s camera still does an incredible job detecting what settings are necessary and spitting out masterpieces with its crowd-pleasing post-processing. Weirdly, I did find the autofocus failing at times, but this could be a problem with HDR. My other favorite change to the camera app is that there is a floating shutter button on the screen. This saves you so much time trying to reach for the stupid on-screen button or volume rocker when shooting horizontally. Other impressive features include Selective Focus and Selfie Focus, which allow you to shoot with a bokeh effect, blurring the background and focusing on specific subjects. Every flagship has this feature now, but Samsung’s feels a bit more natural with this camera, especially compared to the S8’s. Of course, one of our favorite new settings is Super Slow-mo, which allows you to shoot at 960 frames per second. We tried it out on a train and at a fountain. We obtained some mesmerizing results. Overall, shooting with the S9 is great. Photos of landscapes, dim restaurants, bright museums, closeup nature shots, and portraits usually come out sharp, vibrant, and attractive. And what more could you want? Well, Samsung has also included a gimmicky AR Emoji (Augmented Reality) feature to compete with Apple’s Animojis, which work a bit like Snapchat overlay filters. It’s stupid, honestly, but it’s something fun to distract your kids in a bind. Of course, some have complained the real lack of change is to the 8-megapixel front-facing camera. Personally, I agree it could have been upgraded, but perhaps not with a higher price point. The Galaxy S9 actually felt like it had a worse battery life than the S8. However, because we used it all day and night for media consumption and capture on full brightness, that’s not surprising. You can kill the S9 in 12 hours if you’re really trying. That said, getting 24-30 hours with overnight standby is still not heard of. And because it’s equipped with fast charging and wireless charging, juicing on the go is never a miserable experience, even with only 20 minutes. Considering it’s still only 3,000 mAh, none of this is poor performance, it’s just that media consumption and a supremely bright screen with high resolution can kill any device fairly quickly. Power saving modes, reduction in resolution, and turning off Always-on Display are easy ways to avoid running through your battery quickly. 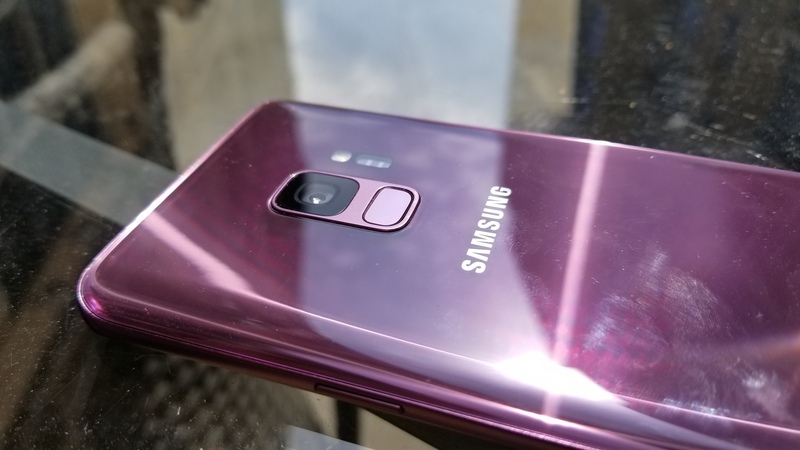 The Samsung Galaxy S9 is an incremental upgrade from the Samsung Galaxy S8 with some hot new and experimental design features. The subtle innovations and fine-tuning to its design speak more to the fact that Samsung has found a consistently impressive groove in its Galaxy products. However, that may not be enough to convince consumers they need the latest device, especially for $799. But if you’re long overdue for an upgrade and looking for the hottest Android flagship on the market, the S9 is exactly that. With a beautiful metallic and aluminum design, arguably the best smartphone camera on the market, and ample storage and battery life, there isn’t anything worthy of a real complaint about this device. It’s beautiful, functional, has the latest hardware, and should last you for many years considering the external storage capacity reaches 400 GB (there will be MicroSD cards that big in years to come). Pick one up for yourself at Verizon for $799.99 or BOGO with an additional $150 Verizon card if you switch a line. Other carriers have similar deals with 50% off and other incentives. 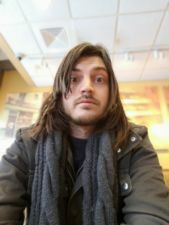 Last updated by Erik Hyrkas at November 26, 2018 .